Mother Goose Nursery Rhymes - Listen Online to These Nursery Rhymes Lyrics! 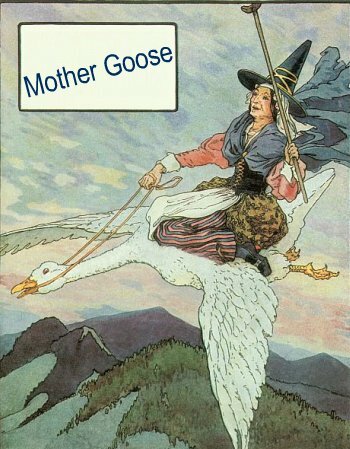 We cannot have a short stories adventure site without including Mother Goose Nursery Rhymes! Click the arrow to listen. These nursery rhymes lyrics are ones we all grew up learning. If you didn't, you should learn them now so you can teach them to your kids someday! Some of them make absolutely no sense which makes them even more fun to say! 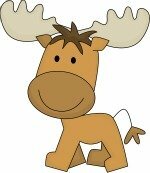 Click on any of the underlined links to go to short and silly nursery rhyme stories. If you don't know what to get for a baby shower gift or a first birthday, consider a book. Books are treasured by parents and children alike, they are usually read over and over and some will be favorites that will be saved to pass along to future generations. We have several favorites that we've kept through the years like, Love You Forever. I would read this to my son when he was little over and over and I would cry every time! Now, it's a treasured book that has given my son and I a special bond. 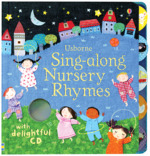 We hope you visit each page of nursery rhymes lyrics with us! If you don't have time today, please come back and visit them another day - we'll be waiting! Until then, you may want to check out some of these other great nursery rhymes we found! We had the Itsy Bitsy Spider book when we were little and we know you'll love it too! Disclosure and Guarantee: You should assume that the owner of this website is an affiliate for providers of goods and services mentioned on this website and in the video. The owner may be compensated when you purchase from a provider. However, you can rest assured that any product or service promoted is something we know, like and trust. short-story-time.com - Online Storytime Adventures © Copyright 2010-2012. All rights reserved. No reproduction permitted without permission. I promise to use it only to send you Cool Offers & Important Updates. Read this free e-course and learn how we built this website and how we are making money from it everyday! If this stay-at-home mom can do it, so can you! "I am a grandmother and just love this concept! Kids reading to kids! Way to go!" "I loved THE FUNNY POEMS, especially "The Quangle Wangle's Hat." I am impressed right out of my shoes by short-story-time.com." For unforgettable stories and award winning books for children visit a company we can highly recommend - Usborne Books and More! "This is so exciting! I'm tremendously impressed! Can't wait to sit down with something warm to drink and take lots of time to read every bit." "I am a father and was checking out this site for my three year old son. I started listening to the stories and before I knew it 40 minutes had gone by!" "A couple of my children listened for about an hour this afternoon. They enjoyed it, we will return again for sure."